Although they’re both documentaries, I couldn’t have picked a more different film than The Creeping Garden to follow up Gleeson to watch and review. Where the latter was a moving, very human film made up from raw, home movie style footage, The Creeping Garden is an unusual, cerebral and stylish affair. As such it was a bit of a shock to the system, and I still haven’t quite settled my thoughts on it in my mind. I’ll give it a go here though as I write my review. 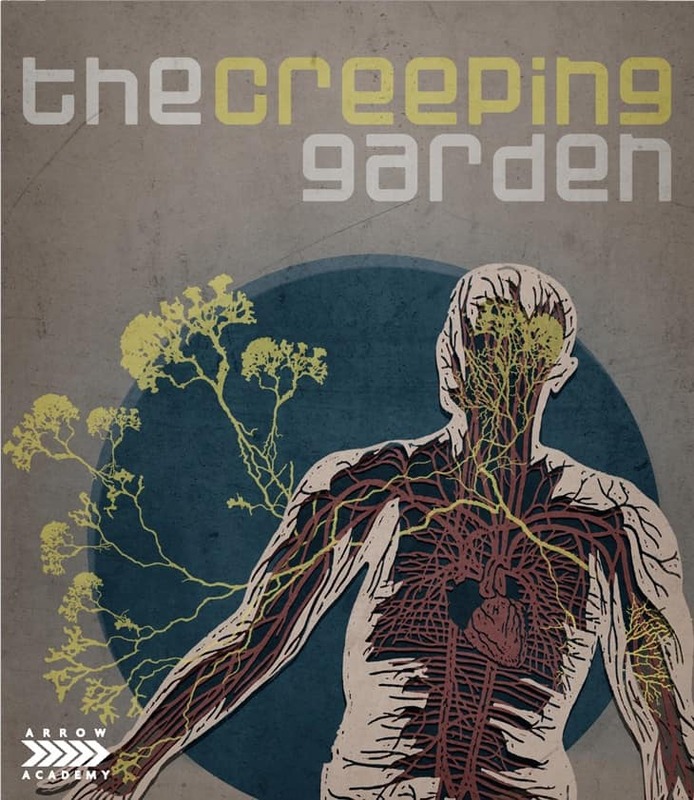 Co-directed by Tim Grabham and Jasper Sharp (who I’ve met a couple of times through a festival I help organise), The Creeping Garden is a documentary that explores the study of plasmodial slime mould. It sounds like an unusual and dull subject for a feature length documentary, but although I’d agree that it’s unusual, there’s more to slime moulds than you might imagine. Although they look like and were originally classified as fungi, they are in fact organisms which can move, eat and have a surprising level of intelligence for their appearance. The film interviews and looks at the work of a number of scientists, amateur enthusiasts, musicians and artists who all deal with or take inspiration from slime moulds. As such, the film is almost about them as much as it is about slime moulds. A little like Room 237, part of the hook of the film is how unusual the work is from this incredibly niche group of people and how deeply they delve into it. The studies here are less crackpot than those of Room 237 though of course, so the filmmakers are in no way poking fun at or exploiting the strange habits of these slime mould experts. In fact Grabham and Sharp seem as interested and obsessed as they are, as the camera thrives on shots of the organisms. These largely timelapse-created shots of the slime moulds are surprisingly beautiful, making the most of their other worldly shapes and colours. The film in general looks gorgeous, with an arty style permeating the cinematography. Adding to the mood is an experimental, ambient soundtrack by Jim O’Rourke. This often dark and brooding score gives your subwoofer a workout and provides a sci-fi feel to proceedings. This sci-fi twist is further accentuated by an opening and closing clip from an American news broadcast in the 50’s when ‘sightings’ of slime moulds had been made and people were panicking as they thought they were some sort of creatures from another world. There’s a kind of eerie serenity to the film too as most of the interviews are solo affairs and cutaways show them working quietly alone in small spare rooms or large empty concert halls and specimen stores. Due to this, on top of a lack of narrative drive, the film is quite slow moving. The filmmakers seem aware of this though as the running time is kept brief. The stylish visuals and soundtrack help give it a hypnotic quality to keep you watching too. It won’t be a film for everyone though. Those not used to watching more deliberately paced films might lose interest after a while and although some of the research shown is fascinating, there isn’t a clear arc building to a core message or one big revelation. Instead it’s more of a smorgasbord of experiments with and unique uses of slime mould. This isn’t necessarily a problem but might put off those with a short attention span. 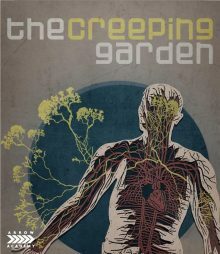 The Creeping Garden then is an oddity that I found strangely compelling. It looks and sounds beautiful, but its meandering nature and lack of clear questions being asked or answered makes for more of a dreamlike curiosity than a thought provoking or powerful documentary. It will certainly make me take a careful look under rotten logs and wet leaves when I’m out in the woods for a walk though. The Creeping Garden is released on Dual Format Blu-Ray and DVD on 13th March in the UK by Arrow Academy. The picture and sound quality is excellent. The commentary is very good – the two directors have a friendly rapport and the track is packed with interesting information about the production process. Return to the Fungarium, Biocomputer Music and the Feeding Habits featurettes work as worthwhile deleted scenes. The short films are interesting too, particularly Paramusical Ensemble, which is quite a touching look at a project designed to help ‘locked in’ patients compose music. I was given a copy of the soundtrack too, which is a great addition to the set if you’re into O’Rourke’s ambient, experimental style of music.